What is the meeting and event business worth to the hotel industry? $565 billion! Yep, that’s a lot of money. 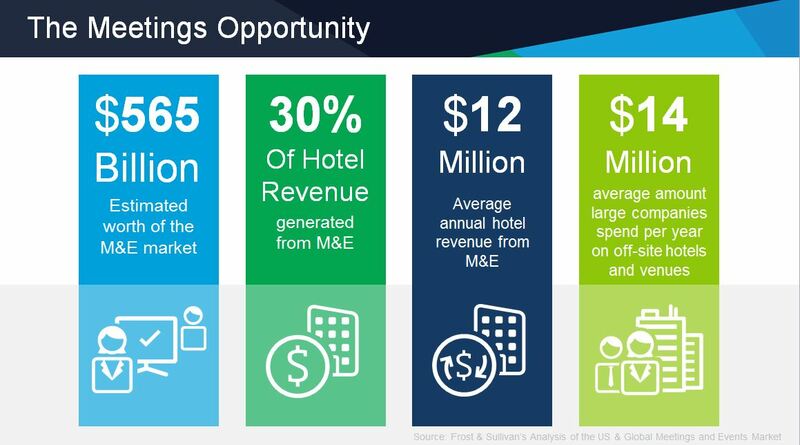 The average hotel generates around $12 million in M&E business each year. When we’re talking this kind of money, it is no surprise how competitive the market is for meetings business. But what if you don’t have an international brand with their well-established points program to lure meeting planners to your hotel? Have no fear, Cvent and HyperDisk Marketing have teamed up to provide you with a webinar to assist not only in capturing more meeting business, but also in how to “Develop Brand Loyalty with Meeting Planners” for long-term value. The free webinar will take place Thursday, November 13, 2014 at 11:00 a.m. PST and feature Jasmin Vias of Cvent and 25-year group sales and marketing executive Michael Mustafa who is now Vice President of Strategic Services for HyperDisk Marketing. Michael will present critically important strategies and tactics, including ZMOT (there is one reason to attend if you don’t know what that is!) to developing brand loyalty with meeting planners.